How to Change the World: Social Entrepreneurs and the Power of New Ideas, David Bornstein, Oxford University Press, 2008. Low-income high school students face an uphill battle to get to college. The academic stars among them are scouted by institutions, while low-income students, who are college worthy but have more average test scores and grades, are often overlooked and do not receive the encouragement they need to navigate the college entrance whitewater. College Summit, founded by J.B. Scramm, is changing that for thousands of students through workshops and mentoring. In Brazil, people in rural areas cannot, in many cases, make a living off their land. Lack of infrastructure, played out soil, and neglect by the government means that millions of rural families crowd into the cities looking for work and end up inhabiting the great, sprawling urban slums where there is little help or hope. Fabio Rosa, an ordinary man who was persistent, has helped stem the tide of people fleeing to the cities by creating low-cost ways to bring electrification to Brazil's rural countryside. These are just two of the stories told in the seminal work on social entrepreneurship, How to Change the World: Social Entrepreneurs and the Power of New Ideas, by David Bornstein. The book was updated in 2008, a timely release since the term "social entrepreneur" has spread across the nonprofit landscape like a California brush fire since the book's first edition in 2004. 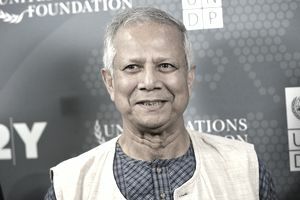 Boorstein, a journalist and author of The Price of a Dream: The Story of the Grameen Bank, writes an inspiring tale of, what he calls, restless people--individuals across the globe who take charge of social problems and find innovative, even unique, solutions. Connecting all of these stories together is the overarching story of an organization called Ashoka. Ashoka, the creation of Bill Drayton, is a scouting organization, that finds the best of social innovators wherever they may be. Once found, Ashoka helps support these unusual people through stipends, and, more importantly, provides a network of like-minded individuals across the globe. Boorstein, in his book, How to Change the World, provides many clues to identifying or becoming an organization that is entrepreneurial (similar to the organizations described in "Forces for Good" by Crutchfield and Grant) and identifies the qualities of people who are social entrepreneurs. Institutionalize listening. These are bottom-up organizations that value the opinions and ideas of the people they serve. You won't find bureaucratic structures, top-down communications, or leaders that focus attention only on themselves. At Childline, an organization that helps the street children of India, the first contact a child has with the organization is through another child who has been helped. They are not professional, but they are effective. Those children provide continuous feedback to the organization about what is happening "on the ground." Pay attention to the exceptional. Entrepreneurial organizations are alert to new information and outcomes. Free of an institutional past that insists on doing things the old way, these groups can see results even when they are strange and unexpected. College Summit began with the unexpected success of four students who, when mentored through the college application process, were accepted to colleges. Their lives were changed dramatically through one simple intervention. Design real solutions for real people. These organizations are pragmatic. They focus on the goal and use whatever means to reach it. An Ashoka Fellow in South Africa sought to ease the lives of poor people with AIDS. When she learned that AIDS was a stigma, she quickly refocused on providing "general" health care, which allowed her access to ill people, most of whom were ill or dying from AIDS. What she called her work was not important. Focus on the human qualities. When these entrepreneurial organizations recruit, hire and manage staff, they focus on empathy, flexibility, and a strong ethical core set of values. Credentials are not the most important quality. In fact, these organizations thrive by not using a professional staff on the front lines. For instance, the Grameen Bank, which provides microloans to poor people, prefers to recruit staff with no prior banking experience. Their human qualities are more important...they can be trained in the mechanics of what they do. They are willing to self-correct. Entrepreneurs are not starry-eyed idealists as you might think, but pragmatists who get the job done by focusing on the goal, not a particular approach. This allows them to admit that something is not working and then switch to a method that holds more promise. Admitting defeat on one road allows the social entrepreneur to search for other routes. They are willing to share credit. The social entrepreneurs described in Boorstein's book invariably credit others with the success of their missions. This provides a strong bond with those who help develop their organizations. Pay may not be great, but satisfaction and recognition rank well for the people who work with and for social entrepreneurs. Social entrepreneurs are willing to break free of established structures. Most entrepreneurial organizations are started from scratch rather than within existing ones. This allows for the necessary innovations and the ability to see beyond the orthodoxy of a particular field. They are willing to cross disciplinary boundaries. Boorstein says that social entrepreneurs serve as "social alchemists," gathering ideas, experience, and resources from different fields resulting in configurations that are new and, many times, counterintuitive. They are willing to work quietly. Most of the projects started by social entrepreneurs are not well known. Some of these leaders work quietly for decades to achieve their goals. They work in small groups and do not seek out publicity. Part of this is because they are committed to their missions, rather than the limelight. They have a strong ethical motivation. Unlike other entrepreneurs who seek to create market success, social entrepreneurs are driven by their ethical visions. As Boorstein writes, "Does the entrepreneur dream of building the world's greatest running-shoe company or vaccinating all the world's children?" Reading about social entrepreneurs and about Ashoka is a revelation. These people think so far out of the box that it is breathtaking to watch. You find yourself rooting for their success and wondering why you didn't know about them earlier. Thankfully, organizations such as Ashoka are on to these folks and are bringing them to our attention so that we can applaud, support, and even get involved with their activities as donors or volunteers. Inputs, Outputs, Outcomes, Impact - What is the Difference? LLCS and Nonprofits: What’s the Difference?